Before we can actually create a share, we have to make sure to have the right PowerShell environment in place. For that, check the version of the Azure PowerShell cmdlets and update your installation if necessary. At the time of this writing the cmdlets for Azure Files were not integrated into the main Azure PowerShell distribution, so you might have to download them separately from here. The download is a ZIP-file (AzureStorageFile.zip) that you should save und unpack to a local directory. 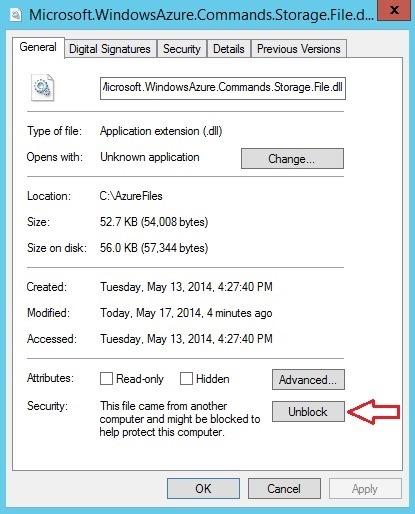 Do not store the content in C:\Program Files (x86)\Microsoft SDKs\Windows Azure\PowerShell\ServiceManagement\Azure (i.e. the default directory of the Azure PowerShell installation), as this will result in some versioning issues. In our example, let’s say you will extract files to c:\AzureFiles. Next, we are going to provision a brand new Windows VM and leverage the Custom Script extension functionality to mount the share at startup of the instance automatically. $cmd = "net use z: \\$accountName.file.core.windows.net\$ShareName /u:$accountName $accountKey"
$cmd | Set-Content "c:\ProgramData\Microsoft\Windows\Start Menu\Programs\StartUp\ConnectShare.cmd"
This script will create a cmd-file in the Windows startup folder, i.e. whenever a user is going to logon to the machine, the file will be executed. It contains a simple net use statement to mount your Azure File share. The script takes storage account name, key and the share name as parameters (provided at provisioning time) and will write the corresponding values into the cmd-file. When mounting Azure File shares this way, the storage account name is acting as username, the access key provides the password. 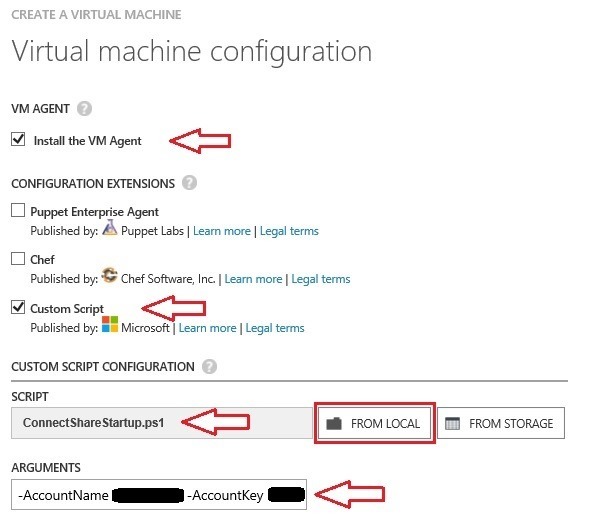 So, create a new Windows VM in the portal (version shouldn’t matter) and make sure to deploy it to the same region as your storage account with the file share. Note: If you go to a different region you will not be able to mount the file share, as SMB is only routed within a datacenter. Using different storage accounts or even Azure subscriptions within a region is not an issue. Finalize the wizard and wait for the VM to come up. Be aware that the script is going to restart the instance. RDP into the VM and open file explorer. You should see the share mounted as drive z: and ready to go. The share will survive reboots and even de-provisioning and re-creation of the VM from the VHD file. 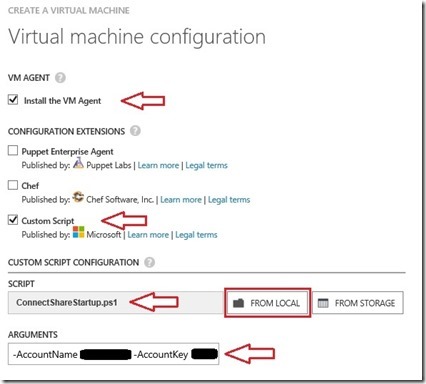 You can use the Azure File share as any regular SMB file share and mount it in multiple VMs for read and write access. Now go ahead, create a folder (e.g. myfolder) and add a file to that folder (e.g. myfile.txt). The classical tools when working with Azure storage (Visual Studio, Cerebrata Management Studio, ClumsyLeaf CloudXplorer, etc.) 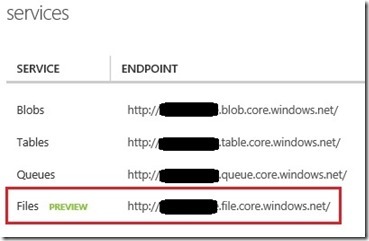 do not yet support Azure Files. This basically means that you will have to work with PowerShell or the REST API directly. Another option is to use AzCopy for moving data between Azure File shares and your environment by using the *.file.core.windows.net URL of your storage account. This entry was posted in File Share, Microsoft Azure and tagged Azure, Azure Files, Microsoft Azure. i tried each step . but still having issue .